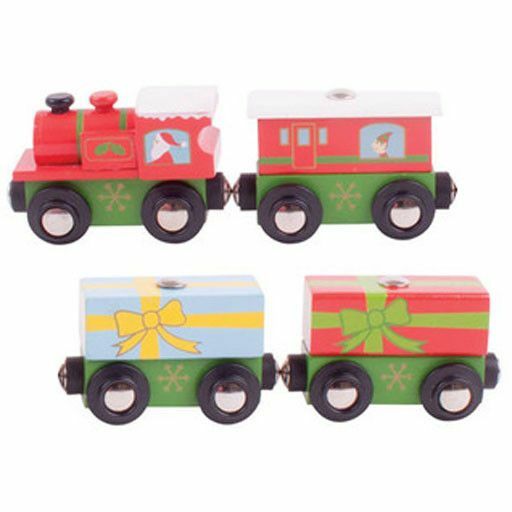 Father Christmas has boarded the Bigjigs Christmas Train and is on his way with three carriages brimming full of presents. 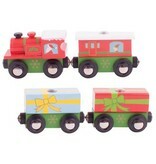 Magnetic points on his festive cargo ensure easy delivery with the use of the Bigjigs Candy Crane, also in the range. Magnetic couplings ensure compatibility with all other engines and carriages in the Bigjigs Rail range. 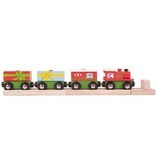 Most other major wooden railway brands including Brio are compatible with Bigjigs Rail. 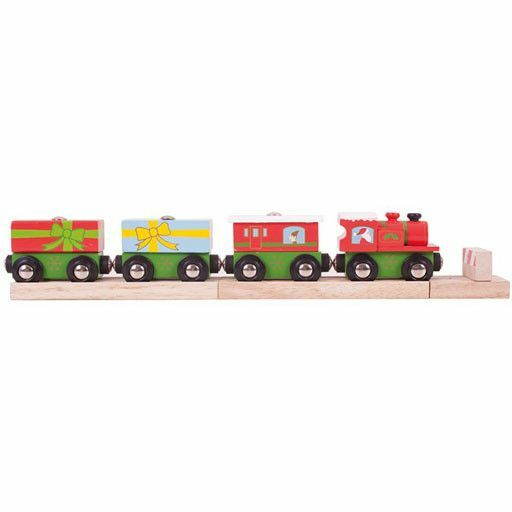 Melissa & Doug, Thomas and Brio are compatible with Bigjigs Rail.